Strong was born in Corvallis, Oregon in 1905. 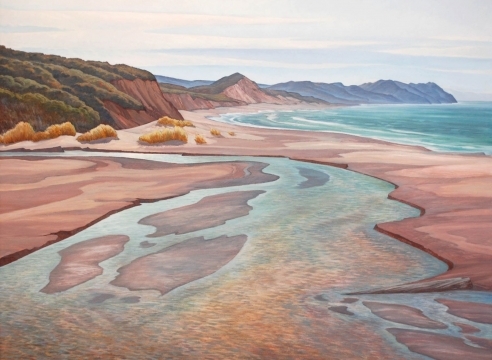 While he attended high school, Strong began painting plein air with Clyde Keller of Portland. 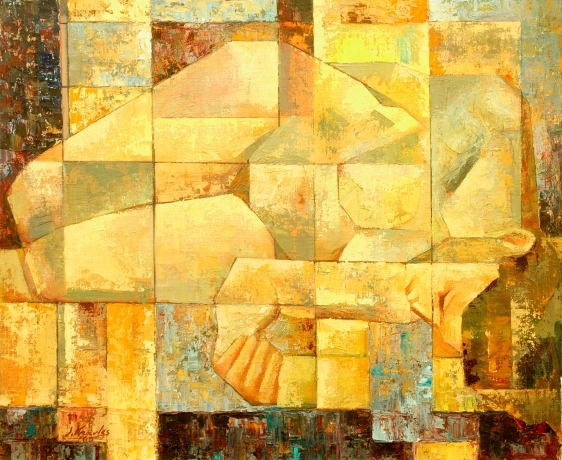 Realizing his passion for art, Strong enrolled first in the California School of Fine Arts in San Francisco (now the San Francisco Fine Arts Institute). Strong then went to New York, and studied with Frank Vincent DuMond at the Art Students League. 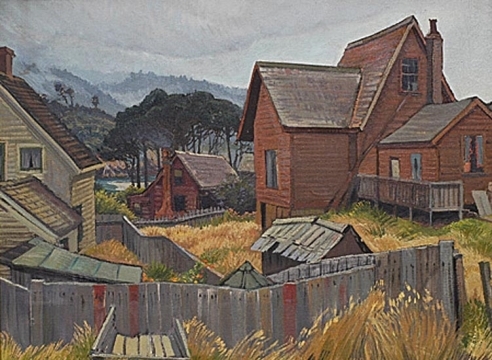 In the early 1930s, Strong returned to San Francisco where he helped organize the Art Students League of San Francisco. 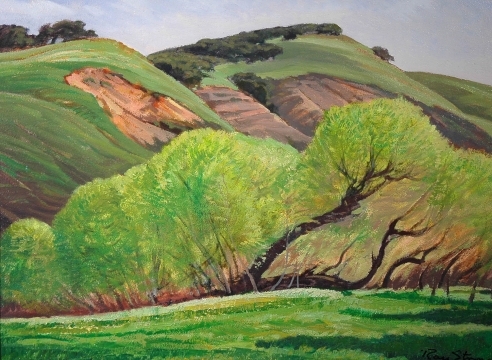 There he studied and taught with Maynard Dixon (1879–1938), Frank Van Sloun (1879–1938) and George Post (1906–1997), and eventually opened an Artist’s Cooperative Gallery. 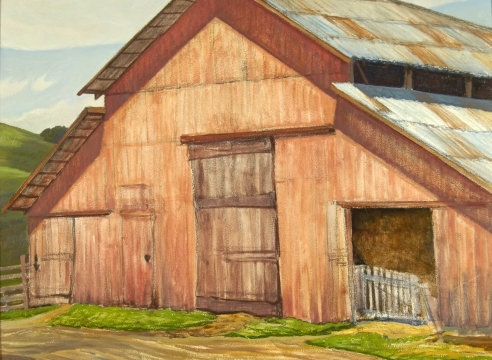 During the Depression, Strong painted murals for the WPA. 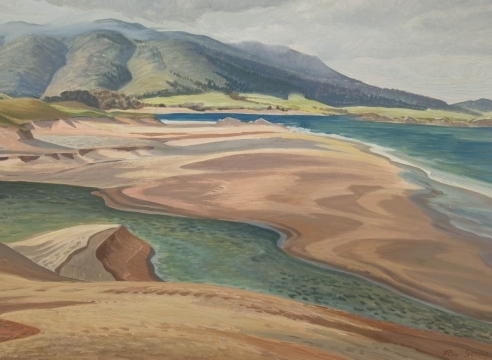 Some of his 1930s paintings are now in the Smithsonian American Art Museum. In 1960, Strong and his wife Elizabeth, moved to Santa Barbara, California, for "the birds and the banks." 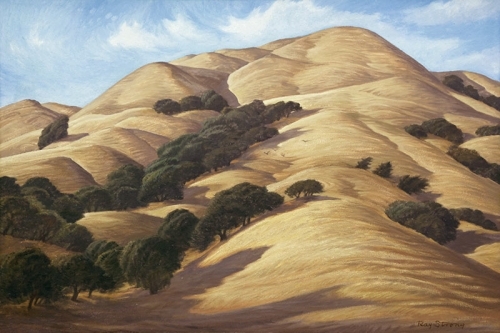 Strong had been commissioned to paint the backgrounds to dioramas in the Bird Hall of the Santa Barbara Museum of Natural History, as well as some paintings for local bank. 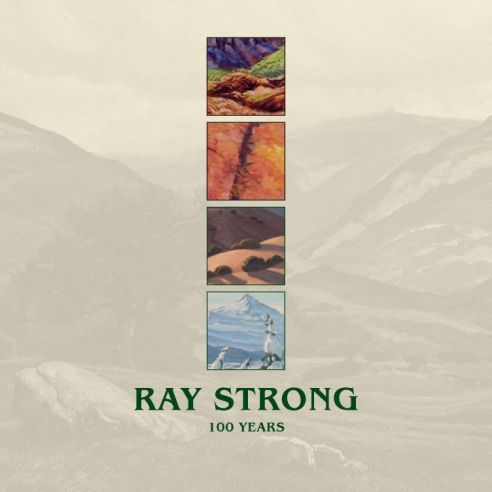 Until his death in 2006, Ray Strong was recognized as one of the leaders of the preservationist painters collective, The Oak Group in Santa Barbara County. CHICAGO HAS A RATHER FAMOUS ART INSTITUTE. 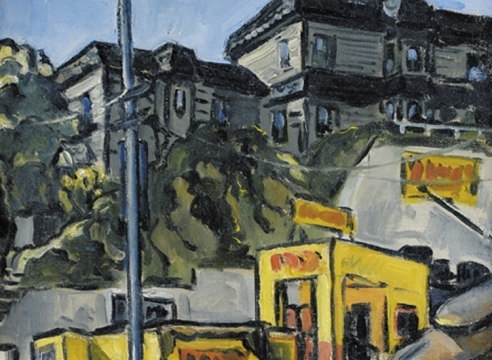 San Francisco’s Art Institute is perhaps a little less famous, but still well known. 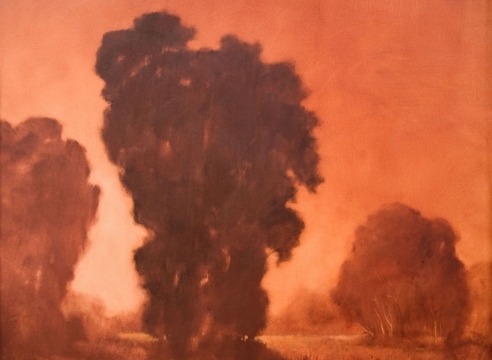 Santa Barbara’s Art Institute is hardly known at all. Wait a minute, Santa Barbara’s Art Institute? 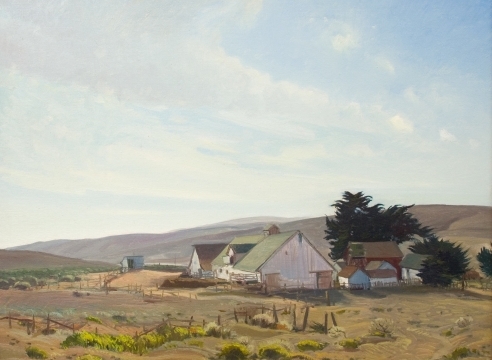 Exhibitions such as Sullivan Goss' current "Santa Barbara Old School," quite apart from the art entailed and hung, can serve as healthy, historical wake-up calls, disabusing the illusions we may have that the symbiotic relationship of Santa Barbara and artists – and art studies – are something new. 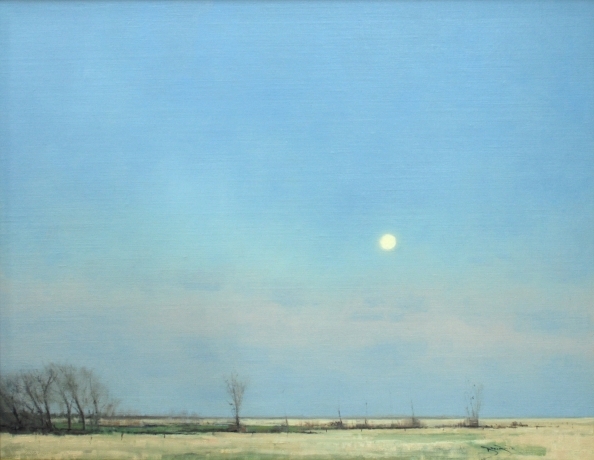 Nothing invigorates the mind like a good conversation, and that’s exactly what curator Jeremy Tessmer has created by pairing these two excellent shows of Tonalism. 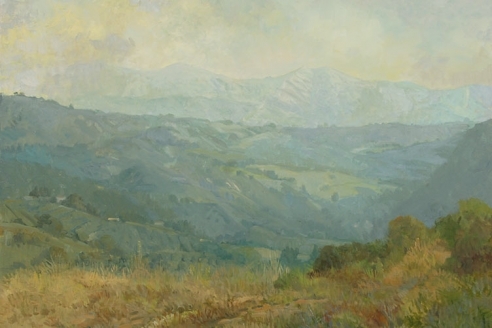 One is a historical survey of the style’s original period from 1870-1930, the other a group show of artists who reference the style today, with work ranging from traditional oil painting on canvas or board to photography and tapestry. 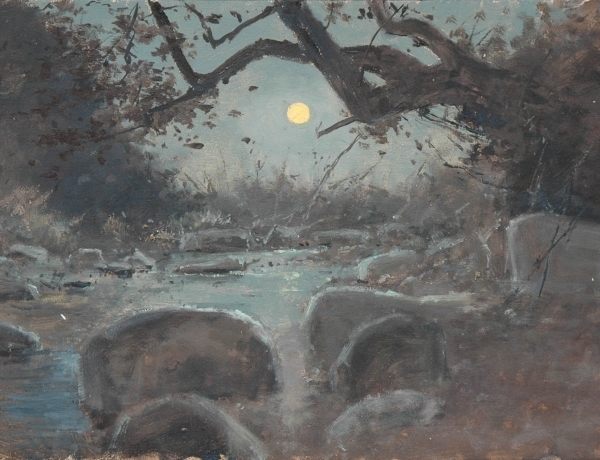 Thanks to the way that some contemporary artists have adopted the softness, the attention to mood, and the unity of composition that characterized the original generation of Tonalist works, there’s a dialogue here that grounds the recent work in art history, and that makes the older paintings look fresh. 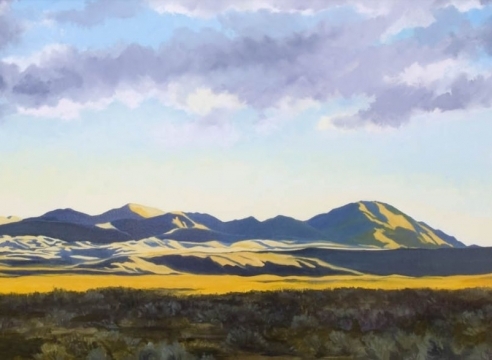 Ray Strong's paintings of the California and Oregon landscape are astonishing in their feeling for the rhythms of natural form. 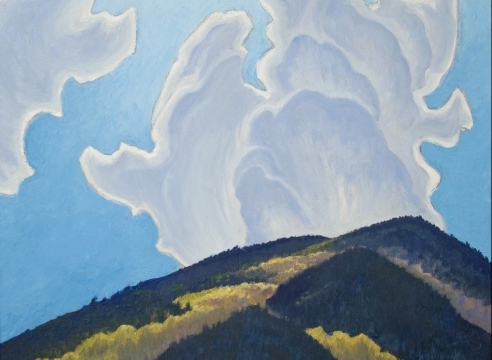 Where his first paintings from the 1930s and 1940s belong to the American Scene painting tradition, his subsequent work documents his affection for the western land. 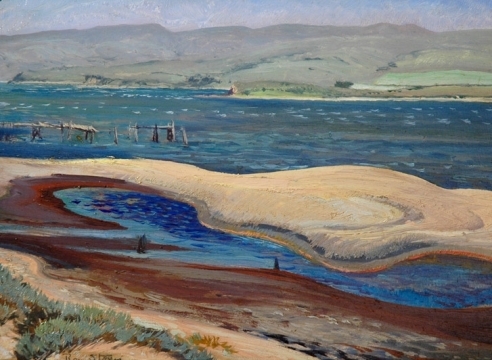 His most successful works place him in the lineage of fine American landscape painters of the twentieth century along with his friend and fellow painter, Maynard Dixon. 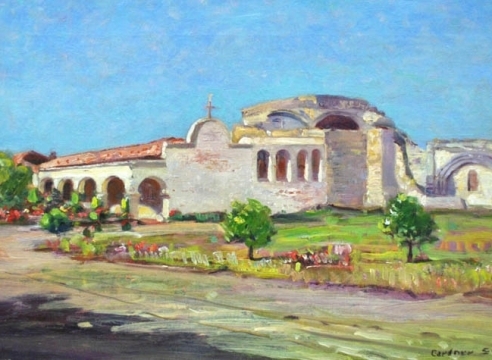 1965 Co-founder, Santa Barbara Art Institute, Santa Barbara, Calif. 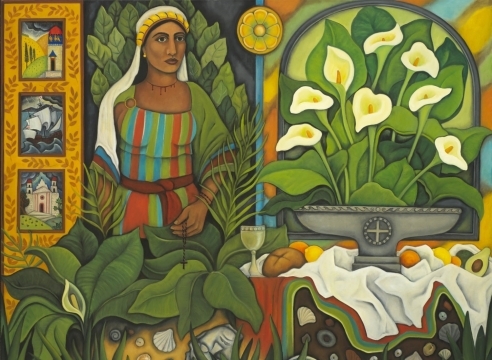 Researcher Gabriel Melgar has investigated the artist's public and private murals and dioramas for a forthcoming book on Ray Strong. Mr. Melgar has identified over 30 mural projects consisting of more than 70 painted panels across the United States from New York City to San Diego, California. 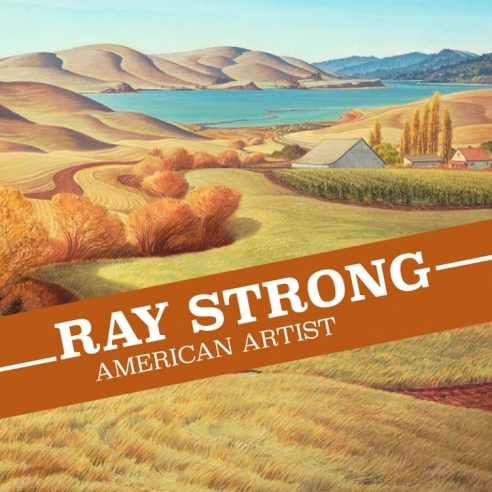 Researcher Stephanie Kostezak has investigated the artist's Solo Exhibitions for a forthcoming book on Ray Strong. 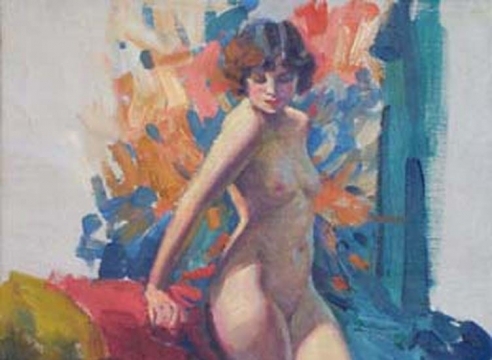 The artist's first exhibition was held in 1925 at the Palo Alto Library and received a a marvelous review which is linked below. 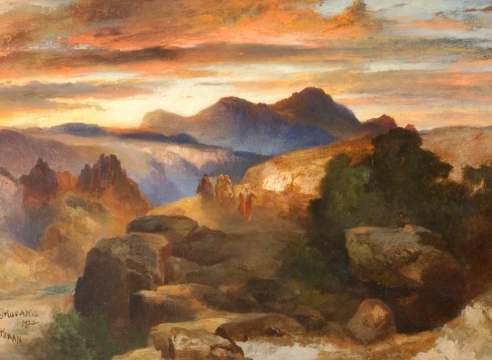 At the time of this show, the artists was just 20 years old. 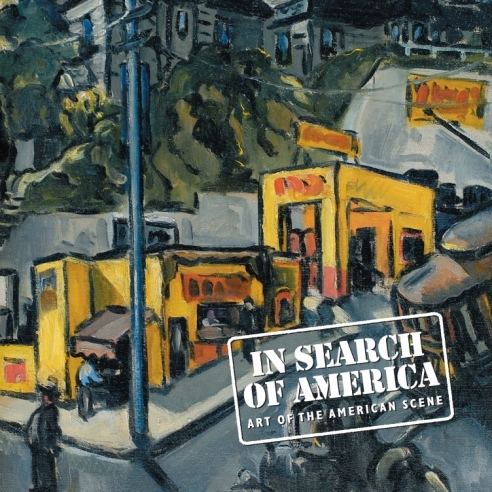 Ms. Kostezak has located nearly 80 solo exhibits some of which are recorded here. 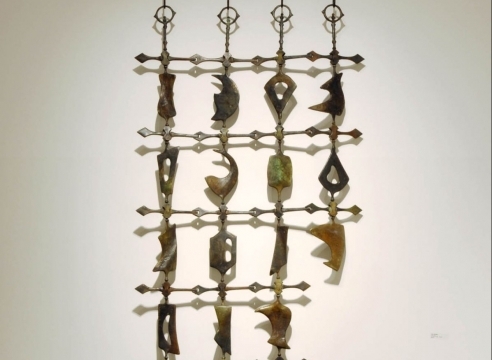 Researchers are investigated the artist's Group Exhibitions for a forthcoming book on Ray Strong. As they are compiled some will be recorded here. 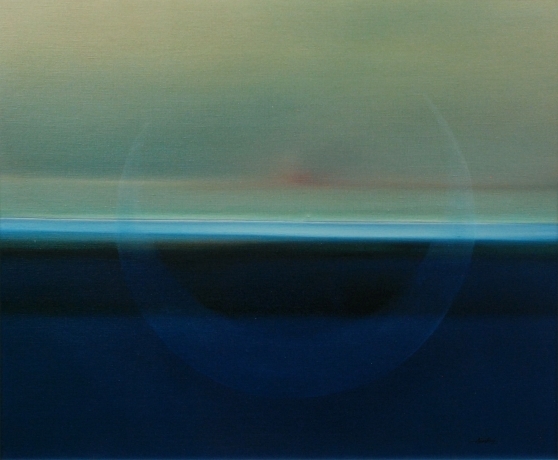 The remainder will be published in the new monograph. 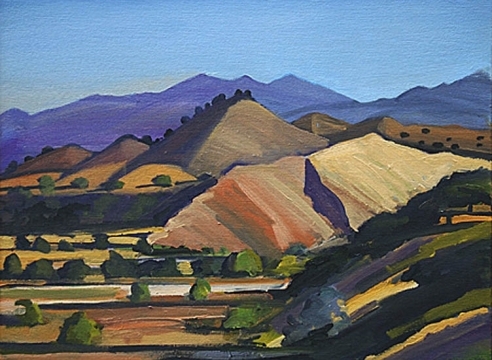 1992 "Oasis: Santa Barbara Artists in Support of California Desert Protection", Rotunda: Senate Office Building, Washtington, DC.